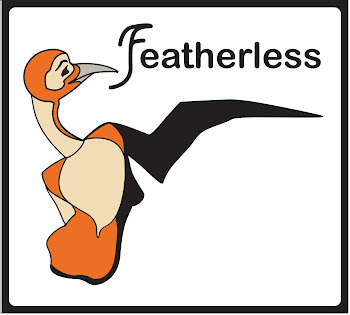 Due to the untimely death of Katie Jacobson, Featherless is over. What happened? I just read with her in August. It was suicide. Too many pills left lying around. So tragic. As her partner I felt it necessary to end Featherless as she had been such an integral part of it. It's a horrifying, senseless thing.